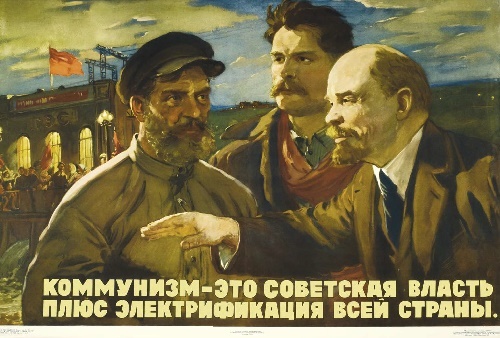 Meeting the demands of visual propaganda, the poster has for several centuries had a special place in the development of world art, and has never yet lost its urgency. 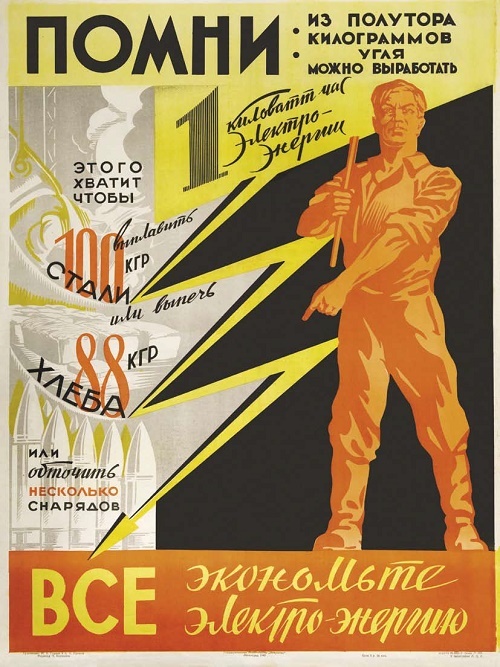 New topics, such as the electric power industry, the construction of power plants, household use of electricity and electrical safety precautions are introduced to Soviet Russian poster propaganda after the subsequent acceptance of the GOELRO plan, the success of which was connected with the name of V. I. Lenin. 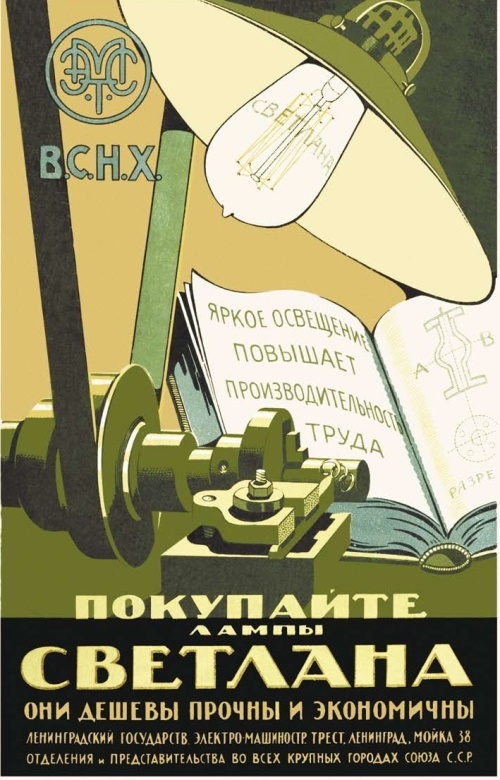 As it attracted most of the artists to the field, The State Publishing House played a leading role in poster propaganda. Registering that electrification would help agriculture reach a whole new level of labor-intensive process mechanization, the focus of these years was the graphic representation of village electricity use. The State Electric Technical Trust (GET) actively promoted its production, electric machines and equipment. Posters urging to sign up for the “electricity” magazine, founded in 1880, and the brand new “electrification” magazine were also widely available. 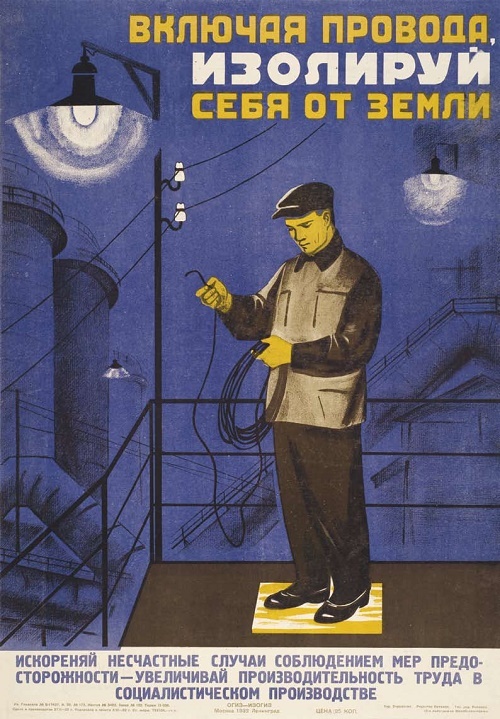 As the construction of new power plants continued, electricity began to be used more widely as well, in the end of the 1920s posters were published on how to safely work with electrical equipment and appliances. 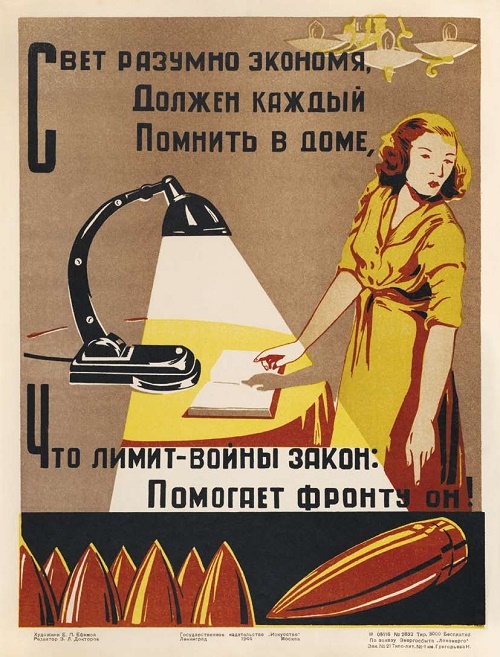 The propaganda of the tasks of the first five-year plan required the creation of many new poster issues, some even using photo-montage, diagrams, calculations of electricity production and even written commentary to get their ideas across to everyone. 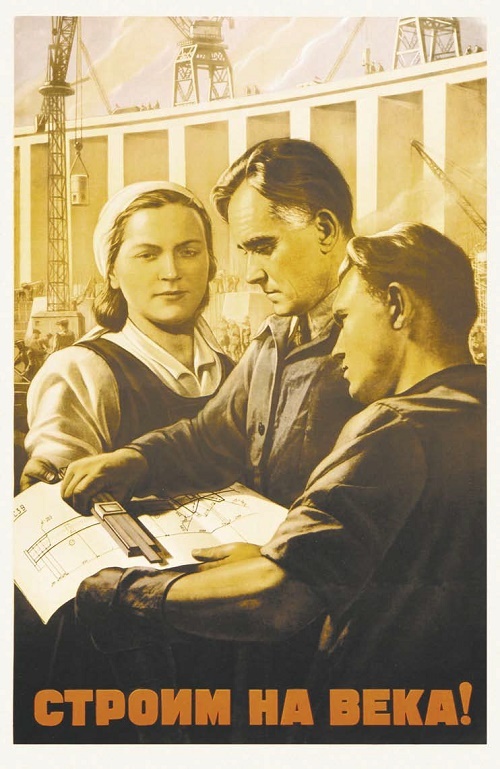 These posters became inherent for visual propaganda in factories, public institutions, village halls and barracks. The first major event in the country’s history was the construction of the Dnieper HPP. 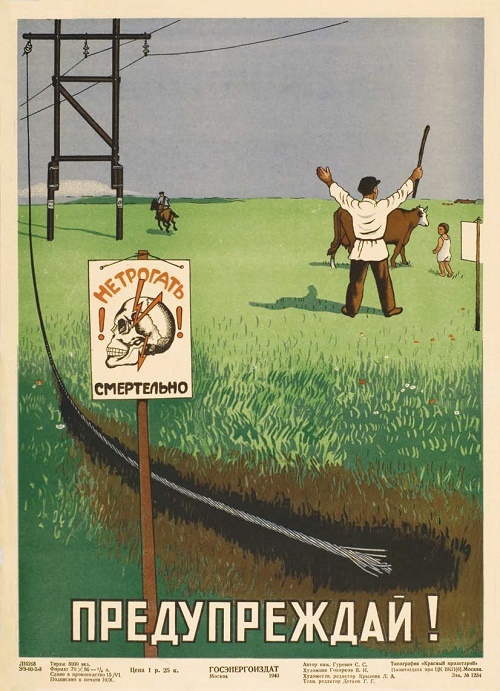 Needless to say, this found its way in the political agitation posters of Soviet artists. State Publishing House printed most of these posters, and many talented Soviet poster artists took part in their creation. 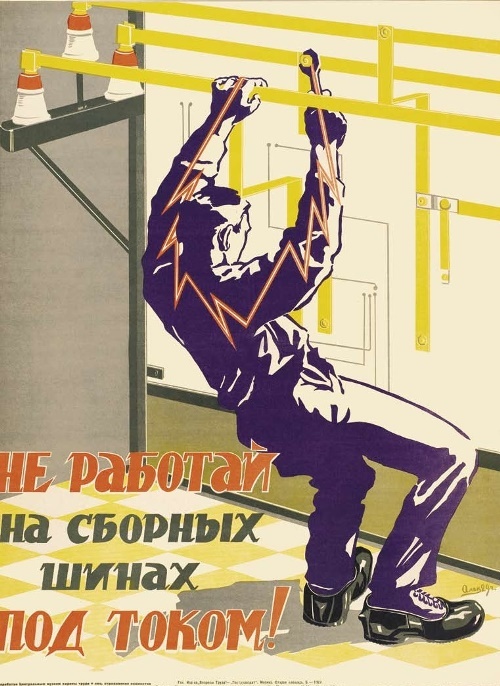 Starting with the very first days of the Great Patriotic War, the main focus of poster propaganda was the preservation of electricity, which was desperately needed to increase weapon production. This was especially important due to the lack of alternative fuel, both in state institutions and in households. 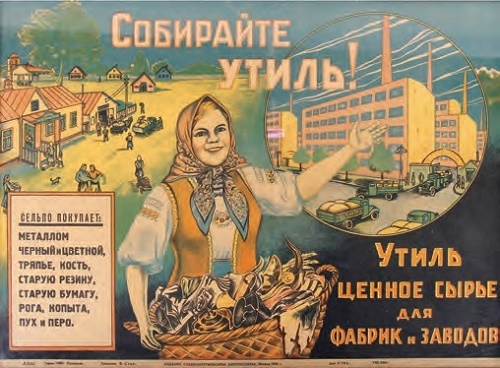 The fourth post-war five-year plan of rejuvenating the national economy received wide poster support. 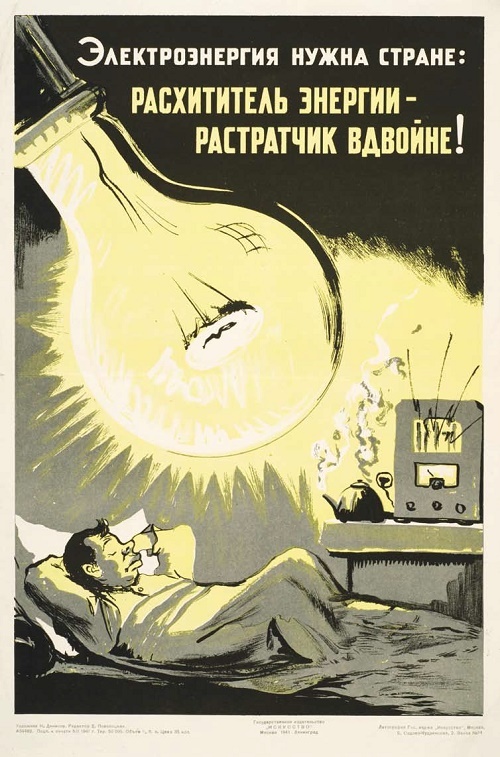 The main slogan of posters dedicated to fulfilling the electrical energy production quotas was “We will invigorate our beautiful motherland with electrical energy!” The task of village electrification in conjunction with the constructing of village power plants was especially difficult. 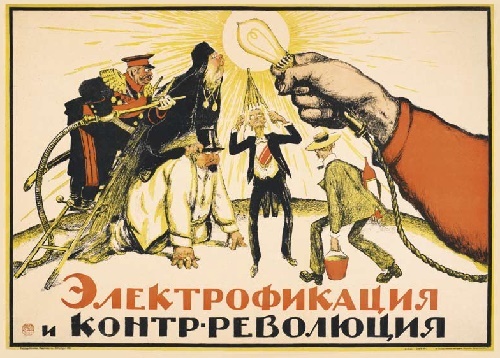 Soviet artists V. Koretsky, A. Kokorekin, M. Nesterova-Berzina, A. Zaikov and others depicted that, not forgetting the theme of saving electricity. 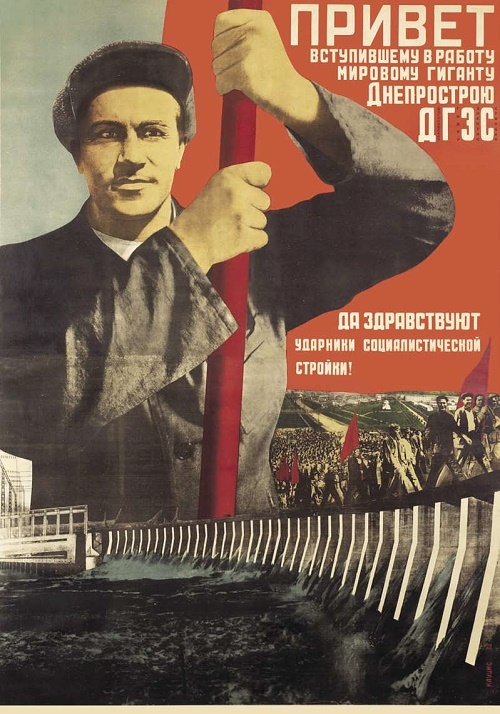 In the first post war years, the theme of constructing new HPPs on the Volga became popular. Even though it first appeared in the posters of the 1930s, in the 1950s it was filled with the renewed vigor of the country that defeated fascism. The completion of the tasks set by the fifth five-year plan has become as an alternative to the capitalists’ plans of a new world war. 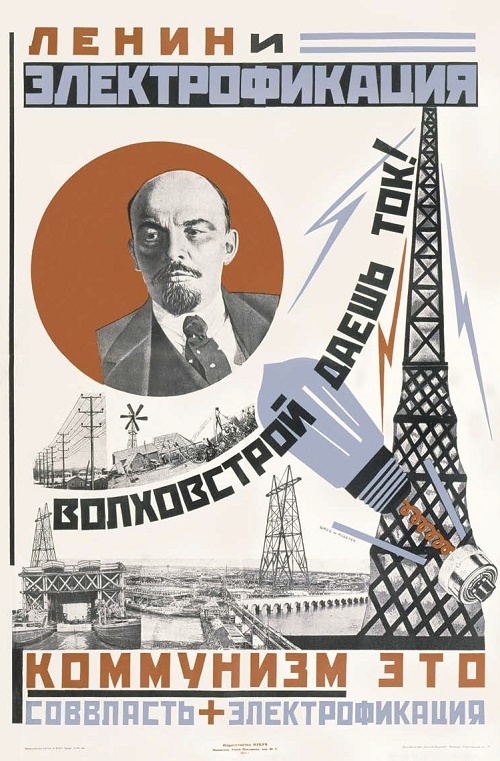 Also, this was the time when P. Golub first touched the theme of building the power lines that could transfer energy from the power plants of the Volga hydroelectric complex. 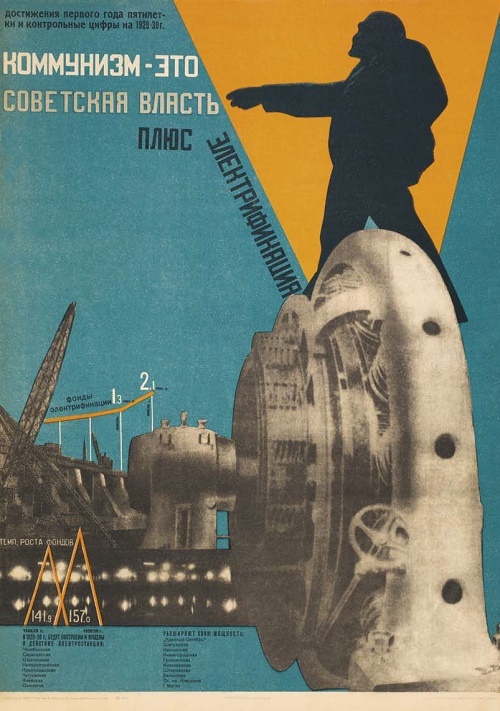 In the middle of the 1950s, at the Komsomol’s summons, many young people traveled to Siberia to build electrical power plants. 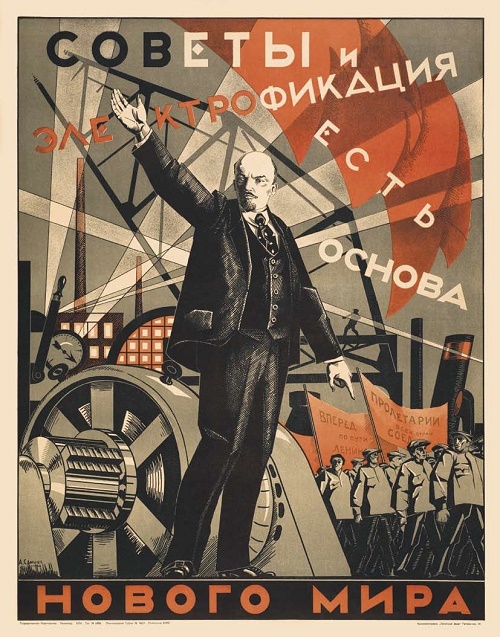 Their heroic feats enjoyed tens of posters of O. Savostyuk, B. Uspensky, A. Dobrov and B. Reshetnikov. 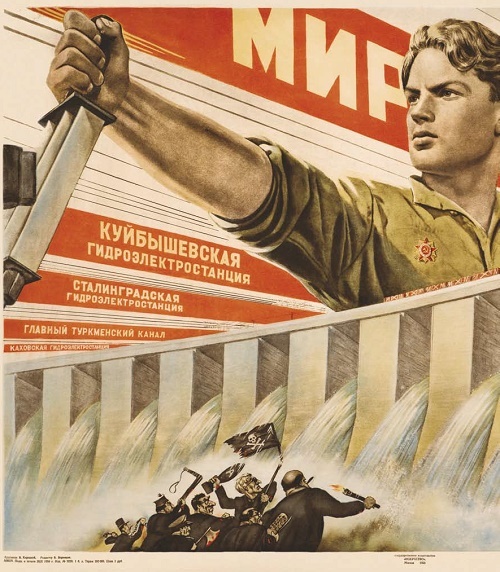 The slogan «The power of the mighty Siberian rivers to the people!» was popular. 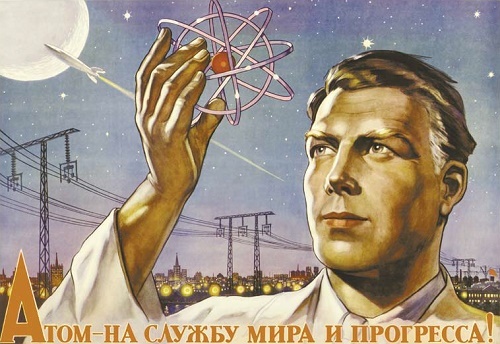 With the startup of the first industrial nuclear power plant in Obninsk in 1954, the theme of the peaceful atom appeared in poster art. The promotion of safety regulations and the preservation for electrical energy once again became popular. 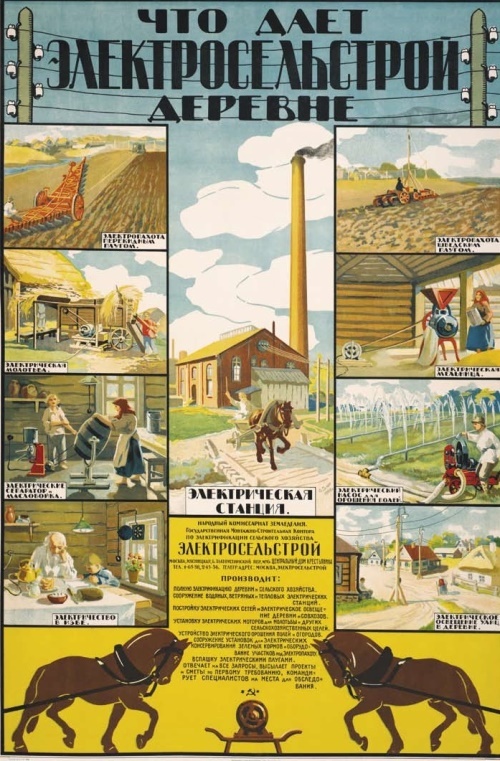 The tasks of the 1959-1965 seven-year plan for the complete electrification of the agricultural sector appeared in the posters of the following decade. 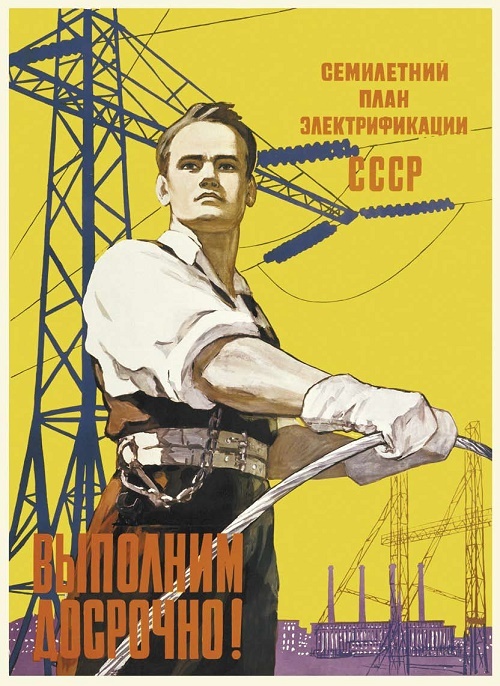 The assemblers of power lines supplying the electricity to the whole country have become the main characters of the posters of Soviet artists V. Koretsky and V. Govorkov. The former USSR republics, and Russia in particular, have entered the XXI century, still powerful electrified nation, still discuss the problems of the effective use of the electrical resources and the preservation of electricity. 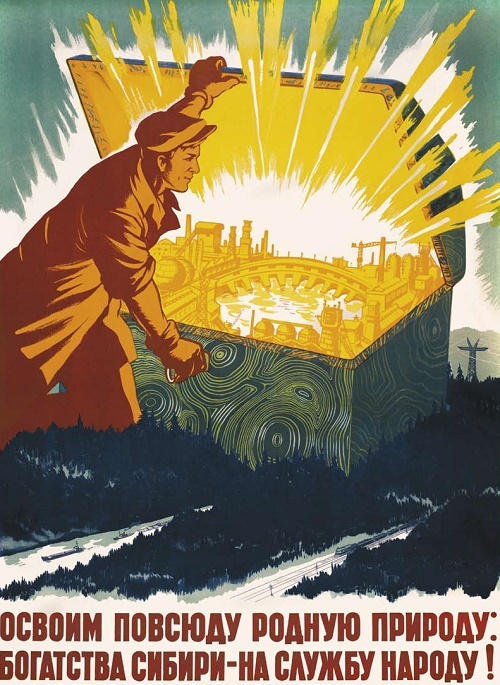 These problems, though not so wide, still stand before the modern poster artists destined to continue the work started by soviet poster artists in the 1920s.